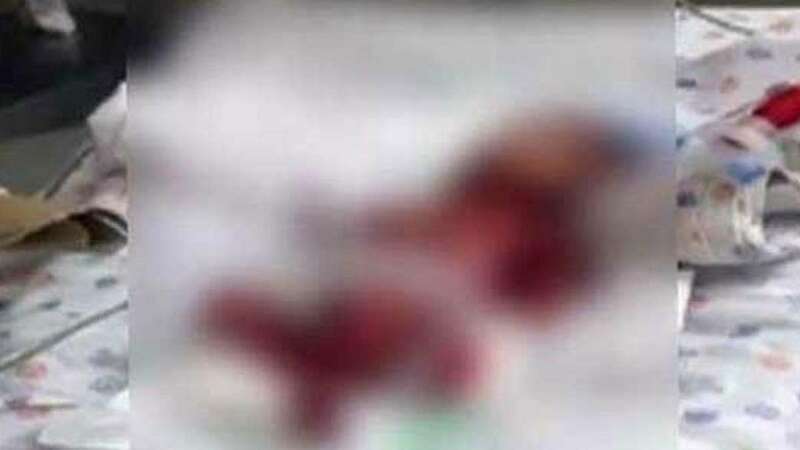 New Delhi : In a case of medical negligence, doctors at a city's corporate hospital declared a baby dead, along with his stillborn twin, and handed them over to family members in a polythene bag, but the baby was found to be alive before being buried. The hospital has admitted to the negligence and sent the doctors concerned on leave. The babies were born in north-west Delhi's Shalimar Bagh-located Max Super Specialty Hospital. According to a family member, the twins were born premature on November 30, 2017. While one baby was stillborn, the other was declared dead hours later after his condition was stated to be "critical" and "unable to survive". "At Max Super Specialty Hospital we were told that of the twins, one was stillborn while the other had died later as his condition was critical. Thereafter, they gave both babies wrapped in a plastic bag. "However, while on way for their burial, we observed a slight movement in the packet and after opening the plastic bag, we found that the baby was breathing," said Ashish Kumar, father of the baby, adding that they immediately rushed to a nearby nursing home. "At the hospital in Pitampura, the doctors found that the baby was alive and accordingly put him in critical care," added Kumar. He also said that they also immediately informed the police about the incident. "It has been brought to our notice that a 22 weeks' premature newborn, who is said to be on life support at a nursing home, was unfortunately handed over (as dead)...by Max Hospital, Shalimar Bagh," said Max Hospital in a statement. "This baby was one of the twins delivered on the morning of November 30. The other baby was stillborn. We are shaken and concerned at this rare incident. We have initiated a detailed inquiry, pending which the doctor concerned has been asked to proceed on leave immediately," the hospital added. According to the hospital, authorities are in constant touch with the parents and ready to extend all support. A similar incident was reported from the city's Safdarjung Hospital in June this year when a newborn was found alive after doctors at the hospital had declared him dead and handed over the baby to the family.